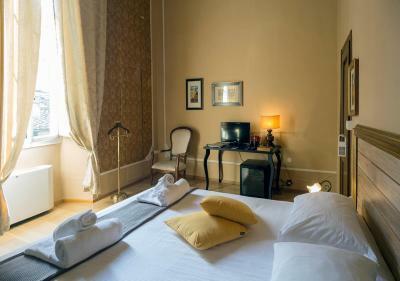 Lock in a great price for Affittacamere Nel Cuore Di Firenze – rated 8.9 by recent guests! Very close to the river and museums. 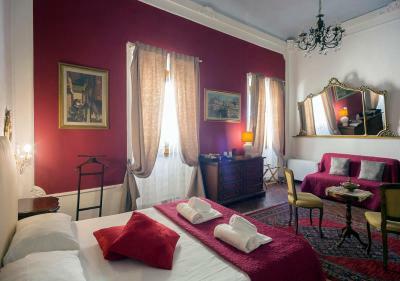 Had a nice cosy small hotel atmosphere. Stuff very polite and helpful. Viginia is very helpful and helped us book a taxi. Room very clean and nice. Perfect location. The location was walking distance to big attractions! 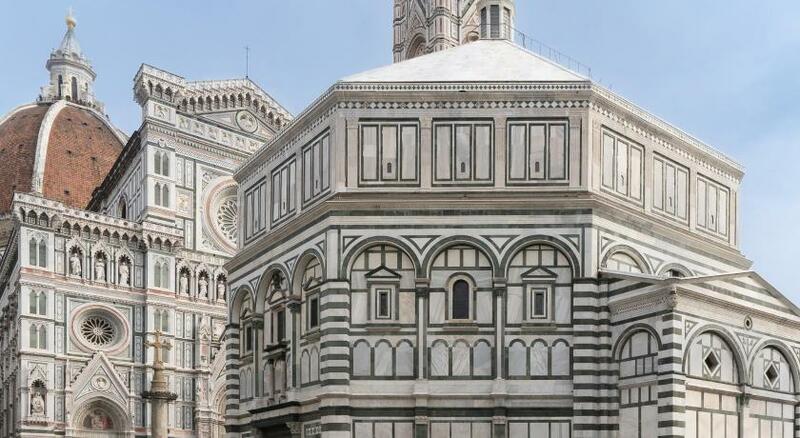 few minutes to the Duomo and directly behind Uffizi gallery . 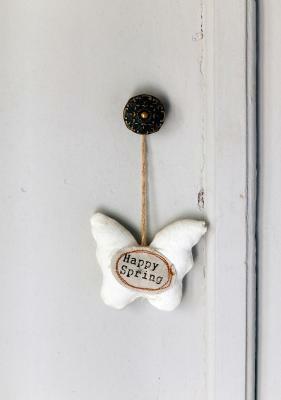 The staff was helpful and the guesthouse has a homey feel to it with cute decorations. loved it! It is right in the centre of the attractions. Access to snacks, coffee, etc was very nice. 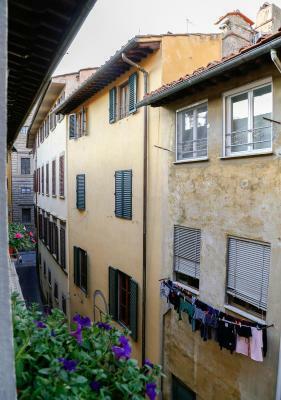 Cute little apartment that is literally in the heart of Florence. 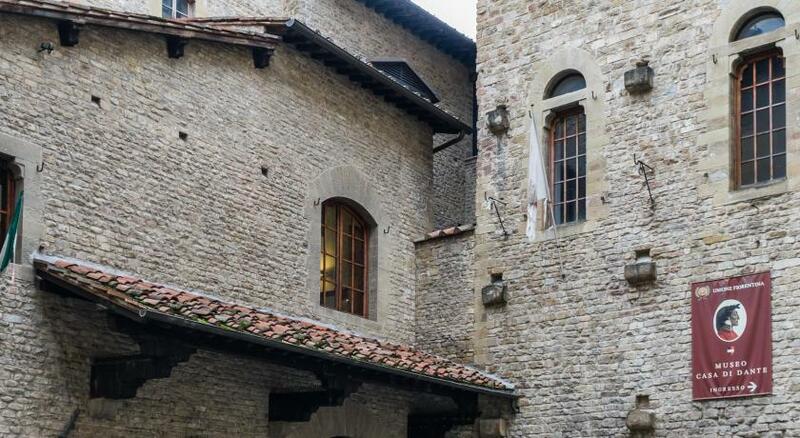 The name of this place is not an exaggeration, you are within 10 mins of walk of anywhere in Florence city center (Uffizi, Duomo, Ponte Vecchio, etc). Right next to a piazza with lots of options for food and drinks. For the price it is really an incredible value. 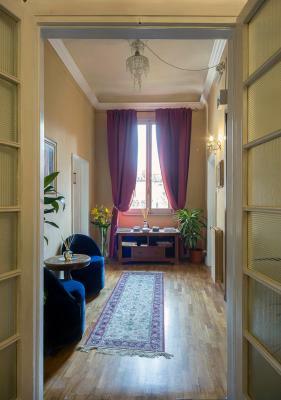 You feel like you are staying in an authentic Florentine apartment. 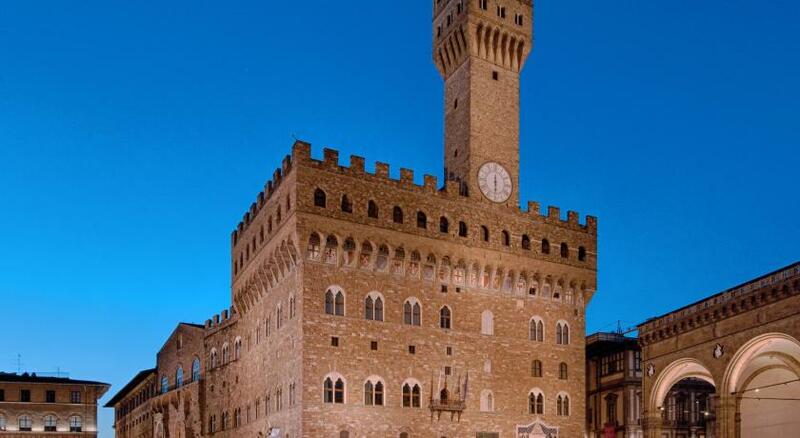 The location is really good for it's just next to the Uffizi Gallery and the Palazzo Vecchio. And the decoration is nice. I found some acient books in the room. Great location and a massive room. Coffee and snacks were provided daily. Cheap mini bar. Decor made me feel like Italy. Luca was most helpful with information on Florence and history of Italy. Enjoyed the balcony for morning coffee, it had the feel of being in Italy. 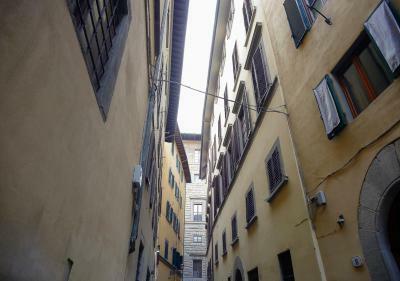 Perfect location to explore the centre of Florence - 3 minutes walk to the Uffizi, to Bargello or to Santa Croce, less than 10 minutes to the Duomo, and 15-20 minutes to Santa Maria del Carmine, Santa Maria Novella or San Marco ... and half an hour (and some sweating) up to San Miniato al Monte (and the Piazzale Michelangelo) Lots of fine restaurants in the Santa Croce area (Del Fagioli, da Què Ganzi, Il Cibrèo, La Vinaina). Accomodation is nice and clean, has a very personal touch, and on top it all is in a surprisingly quiet corner for such a central location. 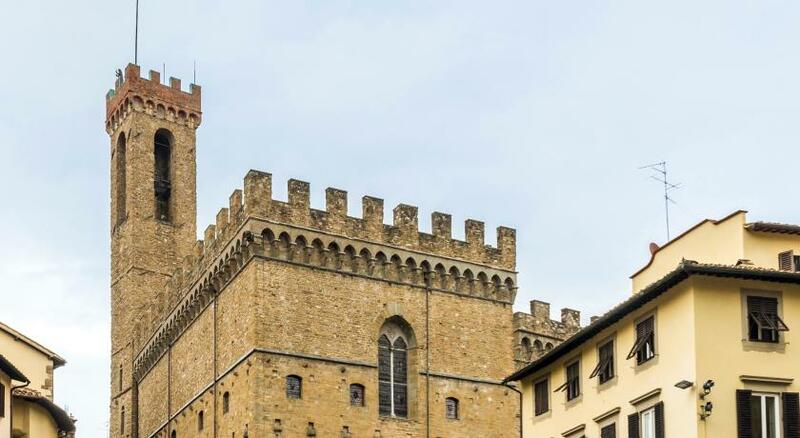 Affittacamere Nel Cuore Di Firenze is located in the Uffizi district in Florence on the second floor of a building without elevator, 350 feet from Palazzo Vecchio and 650 feet from Piazza della Signoria. You can play darts at the guest house. 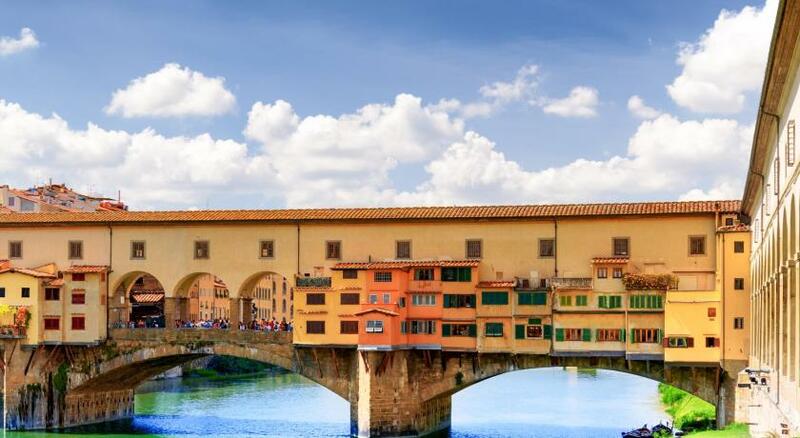 Ponte Vecchio is 1,300 feet from Affittacamere Nel Cuore Di Firenze, while Strozzi Palace is 1,950 feet away. Peretola Airport is 3.7 mi from the property. 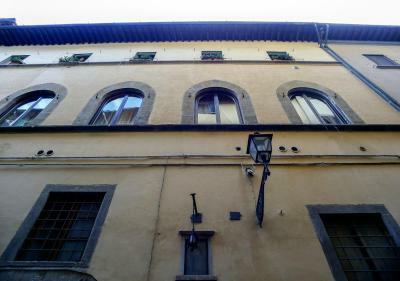 뀐 Located in the real heart of Florence, this property has an excellent location score of 9.6! 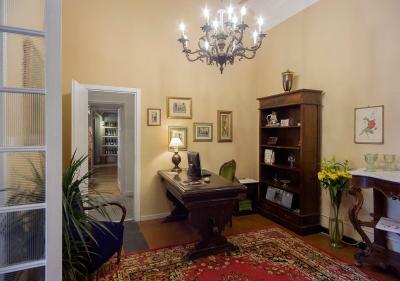 When would you like to stay at Affittacamere Nel Cuore Di Firenze? 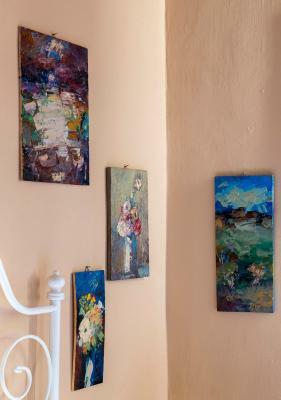 House Rules Affittacamere Nel Cuore Di Firenze takes special requests – add in the next step! 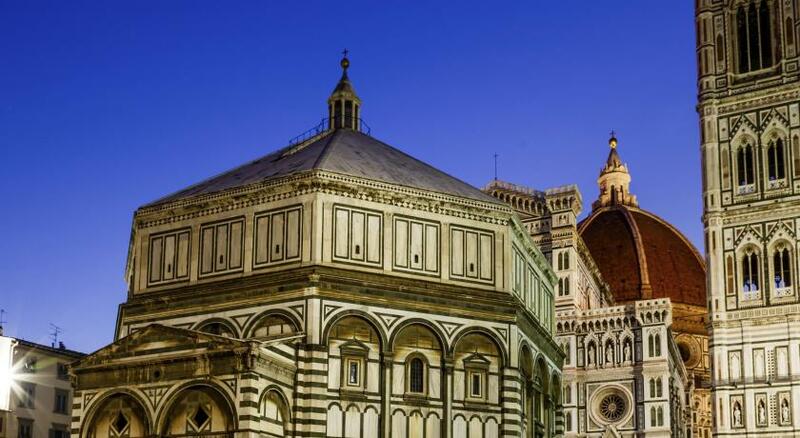 ATM card Affittacamere Nel Cuore Di Firenze accepts these cards and reserves the right to temporarily hold an amount prior to arrival. 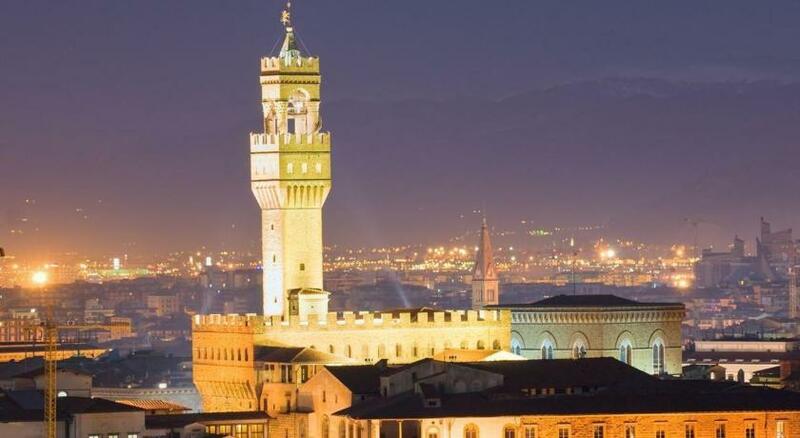 Affittacamere Nel Cuore Di Firenze accepts these cards and reserves the right to temporarily hold an amount prior to arrival. 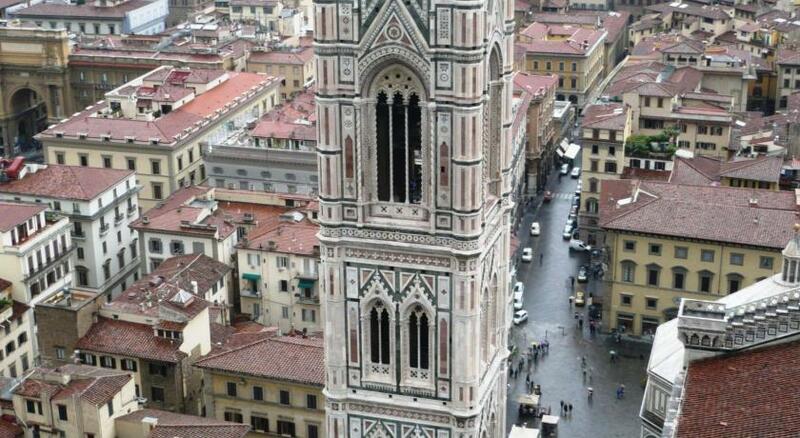 Please inform Affittacamere Nel Cuore Di Firenze of your expected arrival time in advance. You can use the Special Requests box when booking, or contact the property directly using the contact details in your confirmation. The housekeeper was great! She helped carry luggage and helped me get a taxi under the gun. Someone thank her! 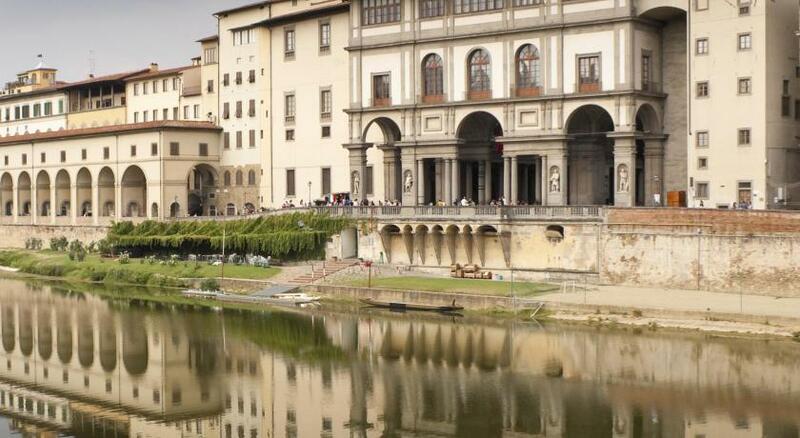 :) Place was right next to Uffizi. Quiet. 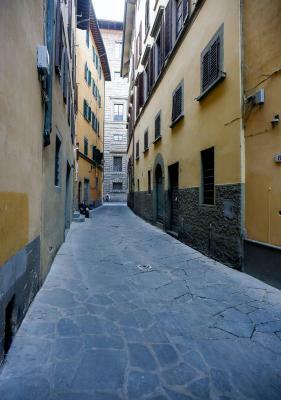 It was quiet, clean and located in a great part of the city. We didn't have wifi and both of us had problems with the cell reception. It was clean, the stuff was nice, very close to the main attractions. Shower was in the room. Water didn't drain properly. Weird smell coming from bathroom. My bed wasn't made up. Nobody at reception to answer questions. Had to climb 4 flights of stairs with luggage. Not fun! 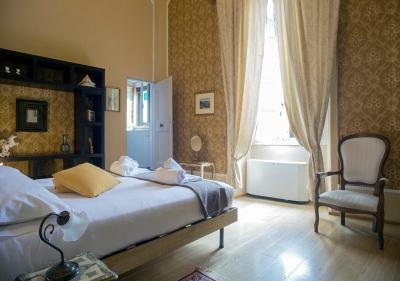 I think you might have better value from Airbnb. I wouldn't say there was much. 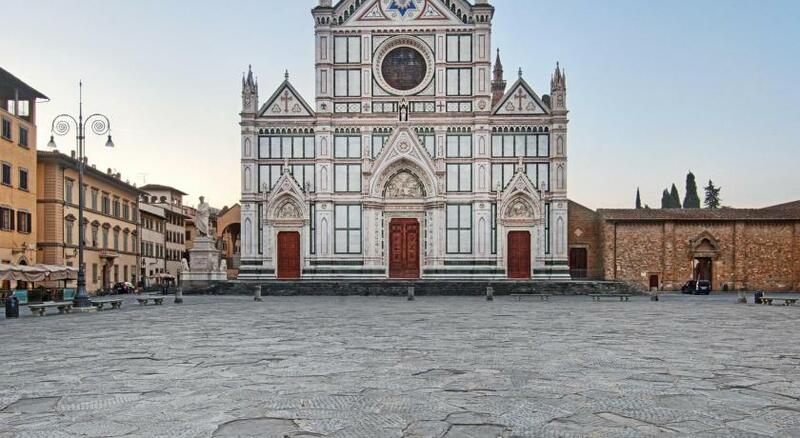 The property is beautiful and located close to many sites including the Ponte Vecchio and Cattedrale di Santa Maria del Fiore. It is about a 15 min walk to the train station. Everything else is very walkable. The room was huge and very cute! You do have to walk up 3 flights of stairs (which they do tell you on the website) so just be prepared. The room was cleaned everyday. They did offer snacks for a light breakfast. There is a kettle in your room to make hot water for tea or coffee. There are lots of food places nearby so you can opt for that instead. I highly recommend for dinner Trattoria Anita right around the corner. The best food I had in Italy! 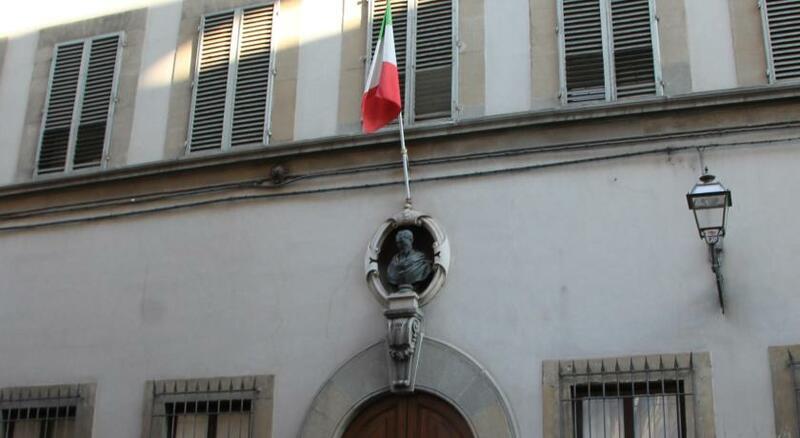 Without the detailed address ( street number) , it is very difficult to find this place. Bathroom was down and around a hallway.worth the trip, but good to know re privacy. Great location, staff friendly and helpful, but we never did meet the owner.Tub was the best, after days of only showers and lots of vacation walking. Comfortable bed. Nice little area with snacks and a place to sit outside. Exellent location; friendly staff. The unique design of the rooms is lovely! Will definitely come back!